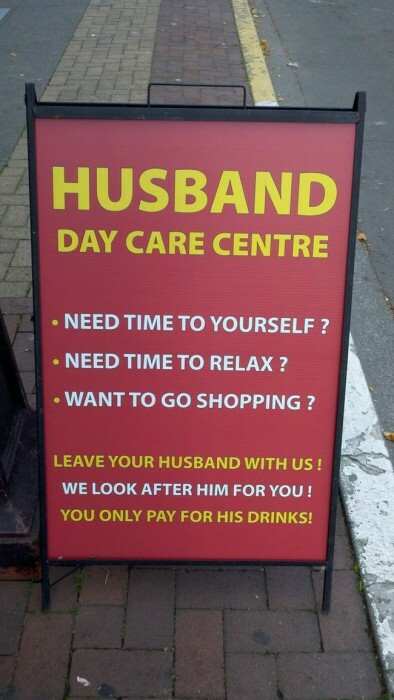 Labeling bars as “Husband Day Care Centers” is funny, until you realize that wives could just not bring their husbands with them in the first place. Every party needs a pooper. That’s why they invited you.